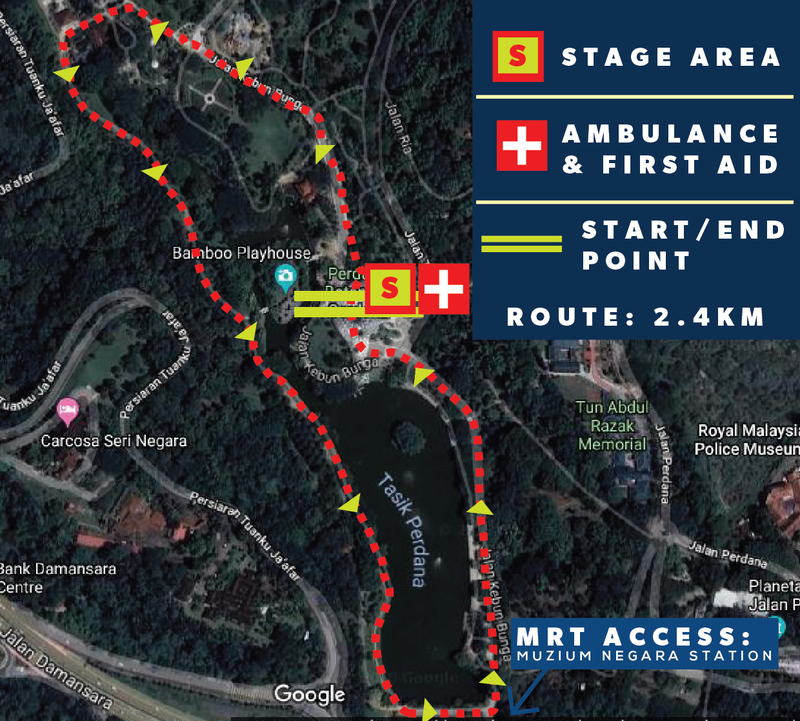 The Terry Fox Run Kuala Lumpur has been taking place in Malaysia since 1991, this event is held in memory of the late Terry Fox to keep his dream of a Cancer-Free world alive. Terry Fox was 18 years old in 1977 when he was diagnosed with bone cancer which led to his right leg being amputated above the knee. He was so overcome by the suffering of other cancer patients many of them who are young children, that he decided to run across Canada to raise money for Cancer Research. He called his journey the Marathon of Hope. Terry ran for 143 days, over 42KM everyday across Canada. He was forced to stop running because Cancer had appeared in his lungs. Terry passed away at the age of 22. The Heroic Canadian was gone, but his legacy and dream lives on with everyone of us who share the same dream. The Marathon of Hope lives on with us. The Terry Fox Run Kuala Lumpur welcomes all, regardless of age, athletic ability or socio-economic standing. The event is a 2km non-competitive, family-oriented fun run. You can run, jog, walk, skate or even ride on someone’s shoulders: the race is against cancer. Registration is free and everyone’s welcome to join. Unlike other fundraising events, the Terry Fox Run has no corporate sponsorship. This is in accordance with Terry Fox’s original wishes of not seeking fame or fortune from his endeavour. During his cross-Canada run, he turned down every endorsement he was offered as he felt that it would detract from his goal of creating public awareness. 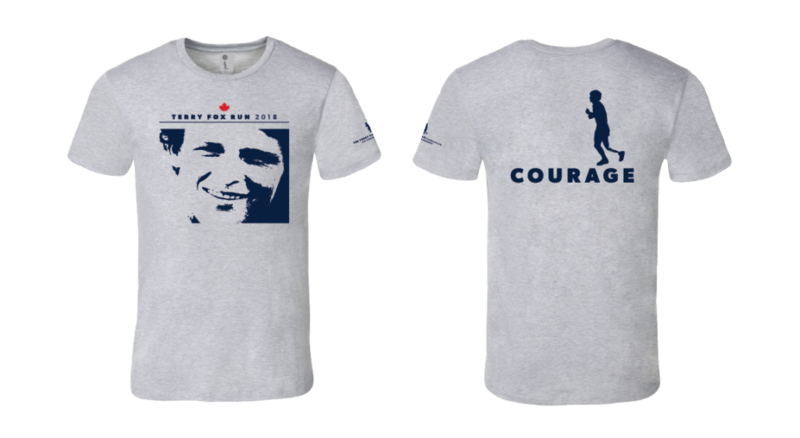 We raise money for Cancer Research primarily through selling Terry Fox Run T-shirts. 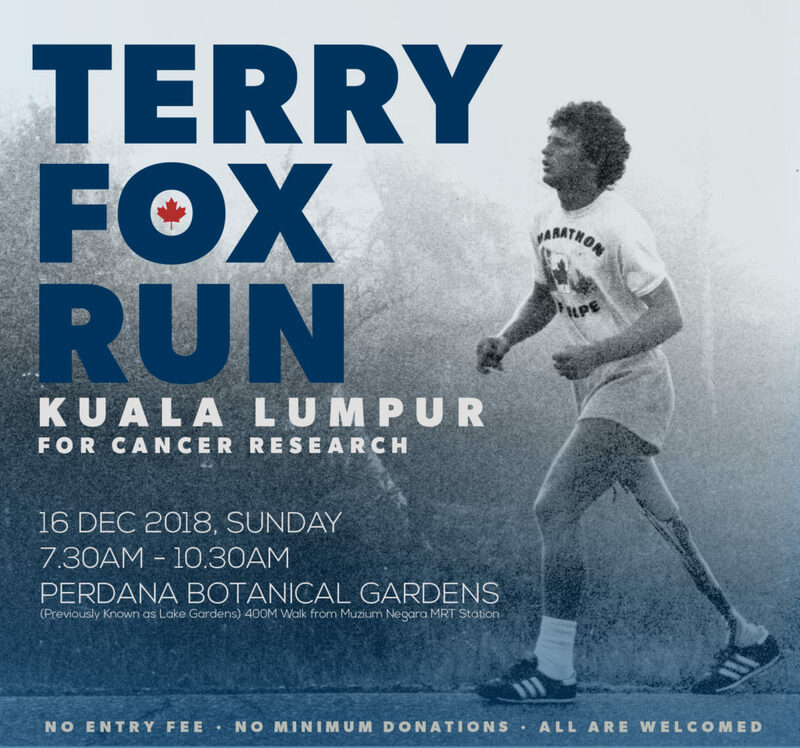 Designed in Canada and produced in Kuala Lumpur, each shirt is RM32 and proceeds collected from T-Shirts sales and Donations will be distributed to Cancer Research Malaysia to support cancer research project(s) based on a scientific, peer-review evaluation process which takes place jointly with The Terry Fox Foundation (TFF) and the Terry Fox Research Institute (TFRI) from Canada. There is no entry fee, but please know that we require all participants register with us for safety reasons (to contact your emergency contact incase of emergency). The Terry Fox Run KL Organising Team has decided to reopen T-Shirt orders due to high demand. As the deadline to purchase T-shirts have passed, this final batch of T-shirts will only be produced after the 2018 Terry Fox Run KL. Deadline to order is December 23rd at 11.59PM and shipped after the 14th of January. Please Note that this is a pre-order and all t-shirts are made to order.